Set the trend in this darling halter gown that features a keyhole accented bodice encrusted with acrylic stones and pearls, crystal beaded waist, and a full polka dot printed skirt. This dress has a back zipper closure. 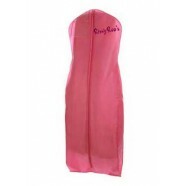 RissyRoos.com is an established retailer that only sells authentic Blush Prom Dresses products.